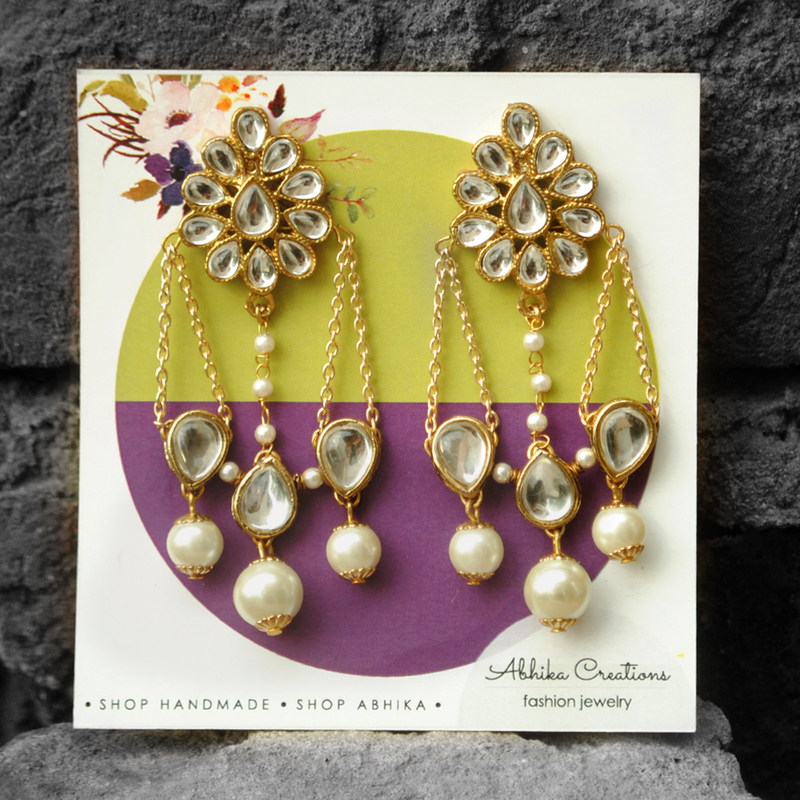 The elaborate arrangement of kundans in a passa style earring is a must-have. 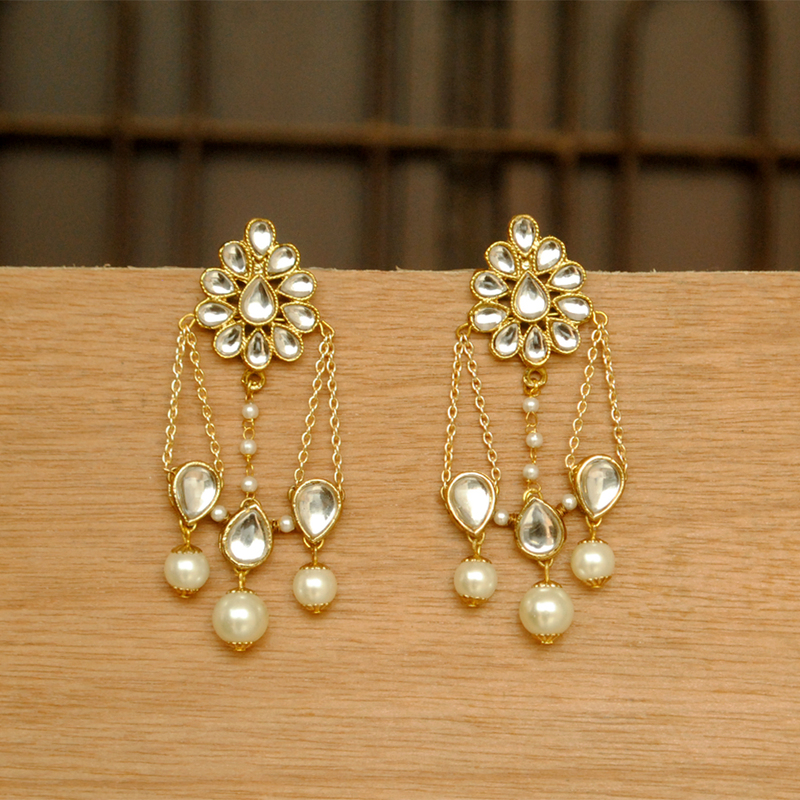 Kundan flower stud is decorated with swaying chains attached to three drop kundans and dangling perals. This pair will instantly make you festive-ready. USP : Festive-Ready Piece STYLE NOTE: Black Attire and Gold Accessories can never go wrong! We are a small team trying our best to spice up the monotonous way jewelry has been designed, sold and worn all this time. 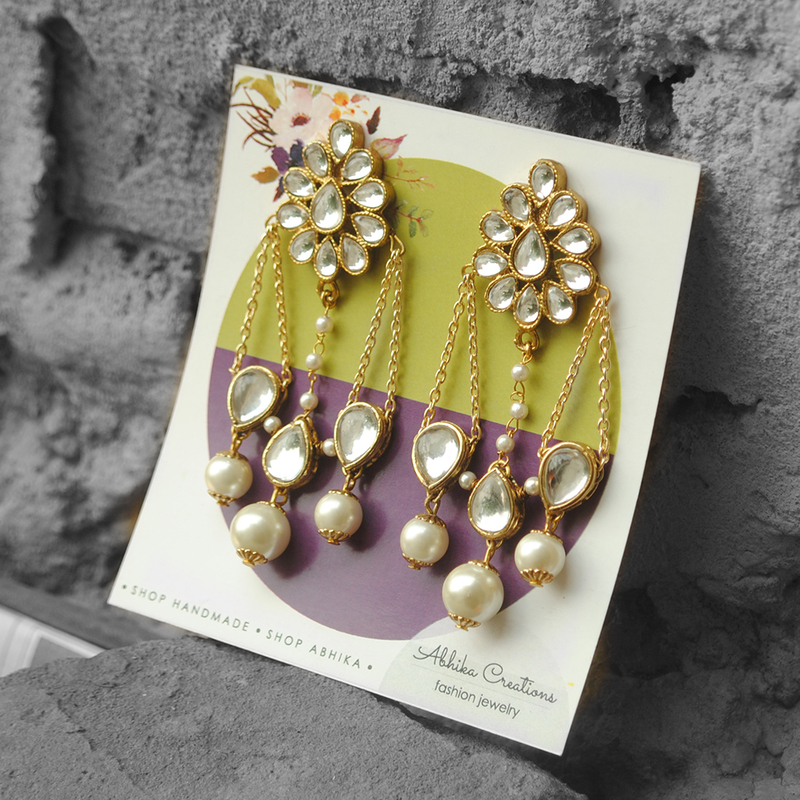 Our design philosophy is to be Abhik (Fearless) and not only create new designs but try and provide you with different ways you can accessorize with precious jewelry.  We also specialize in making customized jewelry which can help you express yourself. We are all ears when it comes to helping you make something as unique as you are. Lastly we try to give our clients the best rates by sourcing directly from Diamond and semi-precious stone manufacturers.